By hook or by crook, the party wants Elahi to either become Chief Minister of Punjab or Deputy Premier in the Federal. In the post-election scenario, Pakistan Muslim League-Quaid (PML-Q) has emerged from nowhere to be in a dictating position in Punjab, which is the largest province of Pakistan. This is the very party that almost got flushed out in the General Elections of 2013. In the pre-election build up, sensing that the wave of triumph was on the side of Pakistan Tehreek-e-Insaf (PTI), it was PML-Q that desired to assist PTI with seat adjustments throughout the country. In the coming days, formation of the Punjab government would be an extremely uphill task. The battle is all set with either side needing at least 149 directly elected members of the provincial assembly. Finding opportunity, PML-Q has turned itself into a weapon that is dire to win the battle but with a very high price tag attached to it. The PML-Q claims to be in contact with at least six independent candidates as well as with the presumed forward block of the Pakistan Muslim League-Nawaz (PML-N). 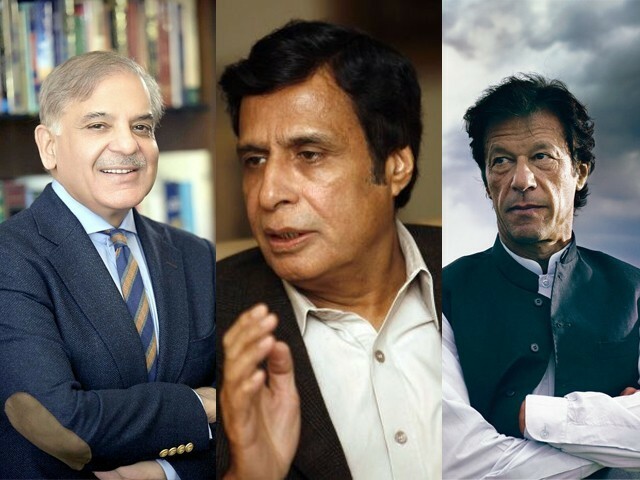 Leader of PML-Q, Chaudhry Pervez Elahi, is surely eyeing the top provincial slot as he sees PTI struggling to find a suitable member of the provincial parliament to lead this tough contest. Meanwhile, Elahi has been elected on two national and one provincial seat in the 2018 Elections. Sources within the party are of the view that the leadership is eyeing top slots in either the province or the federal in return for their support to the PTI. This price tag is not limited to PTI as PML-Q is trying to bat on both sides of the pitch. The similar price tag has been displayed for the former ruling party, PML-N. The party leadership is in touch with PML-N with a bargaining chip on the table. Their stance is clear for PML-N, with a claim that a presumed forward block of PML-N is in touch with the top brass of their party. By hook or by crook, the party wants Elahi to either become chief minister of Punjab or deputy premier in the federal. On meeting with Caretaker Information and Law Minister Barrister Syed Ali Zafar, he categorically gave his verdict that though in the past the position of deputy prime minister was created to accommodate an ally, it was not in accordance to the Constitution of Pakistan. According to him, deputy premier is a position that can be used as a bargaining chip for political purposes, but it has no constitutional standing. Importantly, PTI still believes that when PML-Q approached PTI before the elections for seat adjustment, they categorically said that they do not have any other interests other than being a part of Naya Pakistan. There is a clear resentment within the PTI over PML-Q as they feel betrayed by the tractor for coming onto the pitch in the final over. They believe that the tractor had no fuel and wheels in its own garage and it was PTI that wheeled and fuelled the tractor in the selective constituencies so that they can harvest once again in rural Punjab. However, now that the harvest is ready, the tractor has started putting barriers on GT Road to create hurdles for other riders, including PTI. Meanwhile, though he disarmingly hugged Aleem Khan, Fawad Chaudhry is still leading the race within the party for the slot of Punjab chief minister and Dr Yasmin Rashid’s name is said to be forwarded for the slot of Speaker of the Punjab Assembly. Rumour has it that PTI might consider giving the Speaker of Punjab Assembly slot to PML-Q, if they fail to gather support in Punjab. It seems strange but the seven-seater PML-Q is extremely important for any side in Punjab. PML-Q’s stance reminds us of ‘Manzoor Watto Model’. Just like Wattoo, Hamid Nasir Chattha and Sardar Arif Nakai had successfully bargained with Pakistan Peoples Party (PPP) in the 90s. Similarly, PML-Q wants to coax PTI into fulfilling their demands. PTI is already divided into two factions to fight this ruthless battle in Punjab. For example, Jahangir Khan Tareen is recently seen with independent candidates and Aleem. It would be important to see how Imran Khan handles the situation in the coming days of the political arena. Looking at the current political brawl, one may predict that PTI might give away the Speaker of Punjab Assembly position to PML-Q, but nothing more can be expected. We need to keep in mind that the elected members of multiple seats would have to vacate their seats wisely to form the government. If an elected member leaves their national or provincial seat, it might affect the election of premier or chief minister. Traditionally, PML-Q relied upon the politics of clans and castes in Punjab. They do have a deep-rooted influence in central Punjab but it is not enough to fetch them tangible political space. They are known for gunning down governments using someone else’s shoulder. They faced a decade-long political drought as they were confined to the politics at the district level. They reached a realisation that their ‘bicycle’ was out-dated and punctured. They wisely turned it into a tractor to grow a fresh political field. They desperately begged for fuel and wheels to bring it onto the fields before elections. Now when they have been lucky enough to have a decent political crop, they are in a position to sell it to the highest bidder in town rather than simply placing it on the lap of ‘the ones’ who helped them in their rainy days. It would be very interesting to see whether they betray their allies or help them for the larger interest of the ‘major’ electoral mandate of the country.